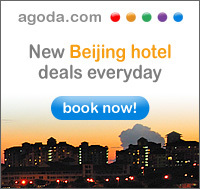 Finding hotels in Xinjiang is by no means difficult, however finding a suitable, inexpensive hotel can be a challenge. 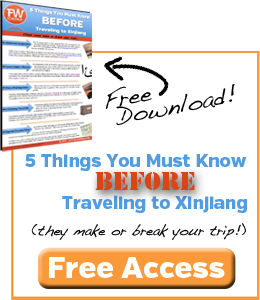 Most travelers rely on China travel guides to help them decide which Xinjiang hotel meets their needs. As a former guidebook factchecker, however, I can tell you that these books go out of date quickly and when you get out into remote places like Xinjiang the hotel turnover rate is quite high. For this reason I have created a list of FarWestChina’s recommended hotels in Xinjiang. You won’t find all of these Xinjiang hotels in your guidebook and most of them certainly don’t have a website, but that doesn’t mean they aren’t good. I’ve tried to make each of these pages as useful to you as possible. Multiple options are given for each city that cover both the budget and the luxury travelers. I’ve also written a brief description of each to give you an idea of the pros/cons of each place (taking into account their price, location, and atmosphere). Below you can find my Xinjiang Hotel Reviews divided by either city or property name. If you feel that the above list is incomplete, please contact me to let me know.